Off-Screen play is headed our way soon. Gather round, fellow hunters! Good news is on the horizon! The official Monster Hunter Facebook page surprised fans with a release date regarding the Wii U specific update for Monster Hunter 3 Ultimate ‘s cross-region play between Europe and America, and the integration of off-screen play! 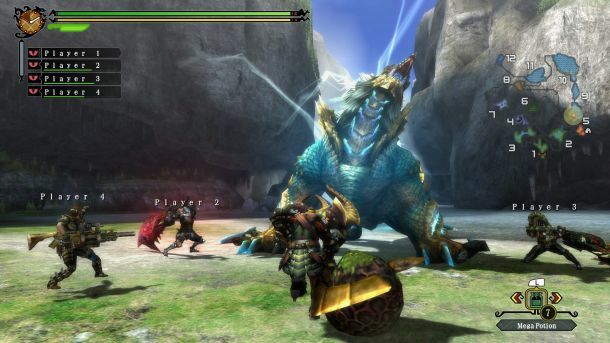 Starting April 16th, Monster Hunters we’ll be able to partake in toppling massive beasts with their European or American brethren- just like its predecessor, Monster Hunter Tri. And like stated above, you’ll soon be able to rely solely on the Wii U Gamepad with off-screen play. So, say for instance, it’s quiet time around your living quarters, and noises emitted from the television means angry parents/roommates. Well, now you can solve that problem all together! Using off-screen play with Monster Hunter 3 Ultimate, you- the hunter -can control,view, and hear the game all via the gamepad (and it’s headphone jack)! Does this news excite you? Let us know in the comments.